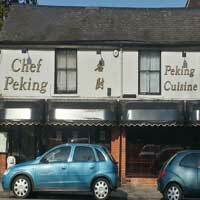 At Chef Peking all our food is prepared fresh on the day using only high quality ingredients to make your dining experience that extra special. We believe that the key to fantastic food is a fantastic team with fantastic food. Take a look at our menu below to see some of the delectable treats you can indulge on when you visit Chef Peking! We also offer a fantastic takeaway service for all those who would be interested in the local area. A great selection of Dim Sum starters, Spare Ribs, Prawn Toast & tasty selection of main courses, not forgetting our ever popular Crispy Aromatic Duck, Toffee Bananas, Toffee Apples, Fresh Fruit Salad & Gateau Desserts.